Well first. Get your mind out the gutter...haha I had to use this picture, it was too perfect.NO?..I was trying to get them to surround me and found myself all stressed out trying to get them straightened out...and then I realized...that is how life is right? and let's face it..I don't even have children yet...between my full time job, my hobbies, and my part time jobs, my wifey duties, my dog mama and cat mama duties and all the other duties I have I am shocked I even open my eyes in the morning. I got so many dreams and passions they are clouding my mind and I can't seem to focus on any let alone one! What is funny is I think we all go through this. Sometimes if you are like me when you decide you want something you want it NOW. You will do everything it takes to get it...but then you realize very quickly life interferes and all these other things start taking precedence...important things...but let's face it...you were on a roll right? EVERYTHING was in line and you were ready to cross that sucker off your list when BAM. But I get a lot of questions about how to stay disciplined , Focused, motivated, how to not binge Keep Going...etc etc... THESE are MY WAYS...and by no means will they WORK for you most definitely but I know that sometimes trying something new may help, so here are some of the things I do to get me back on track and make sure that I am living each day to its fullest. 1. GET A JOURNAL & A PLANNER. 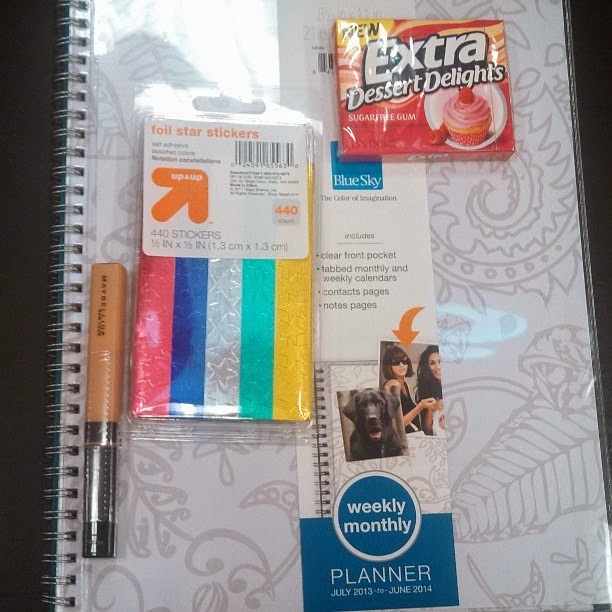 I found an inspirational one at Marshalls that I love and use almost every day and a planner at Target for like $3.00. I found some star stickers and I was all set. 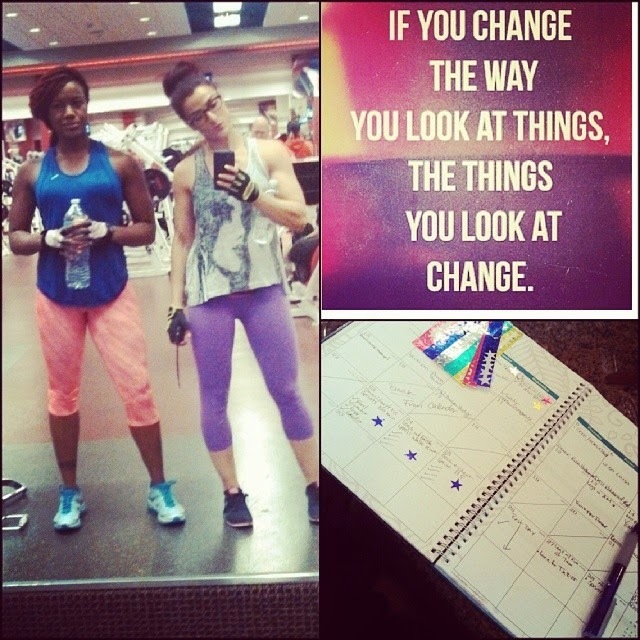 This is the beginning of keeping yourself accountable and motivated. 2. WRITE DOWN YOUR GOALS, DREAMS, ANYTHING. I know it seems a little silly or you feel like you know in your head. BUT I PROMISE the minute you write it down you will change how you live each day. After you write it look at it often...and cross off the things you do...give yourself a sticker! 3. BE PREPARED, PREP BEFORE HAND. now this isn't just for dieting or eating clean...this is for life. If you know you are going to be gone for more than 3 hours bring your next meal. 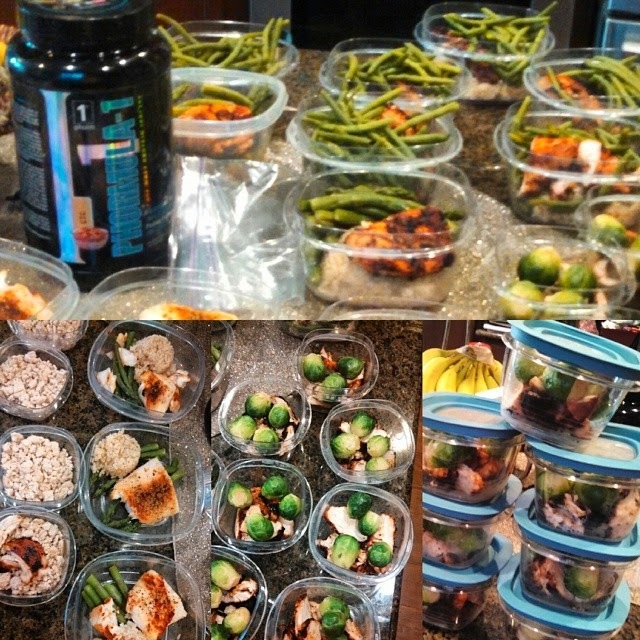 Prep a crap ton of chicken on Sunday so you have alternatives for meals. GET SLEEP. Ask for help, and don't let yourself fail by making sure you have what you need. Don't rely on others to get your to the goals you wrote down. SEE TIP 2. 5. MAKE NEW GOALS AND DREAMS AS OFTEN AS YOU NEED. Some people leave this for the end of the year and are SOOO disappointed when those dreams didn't come true. 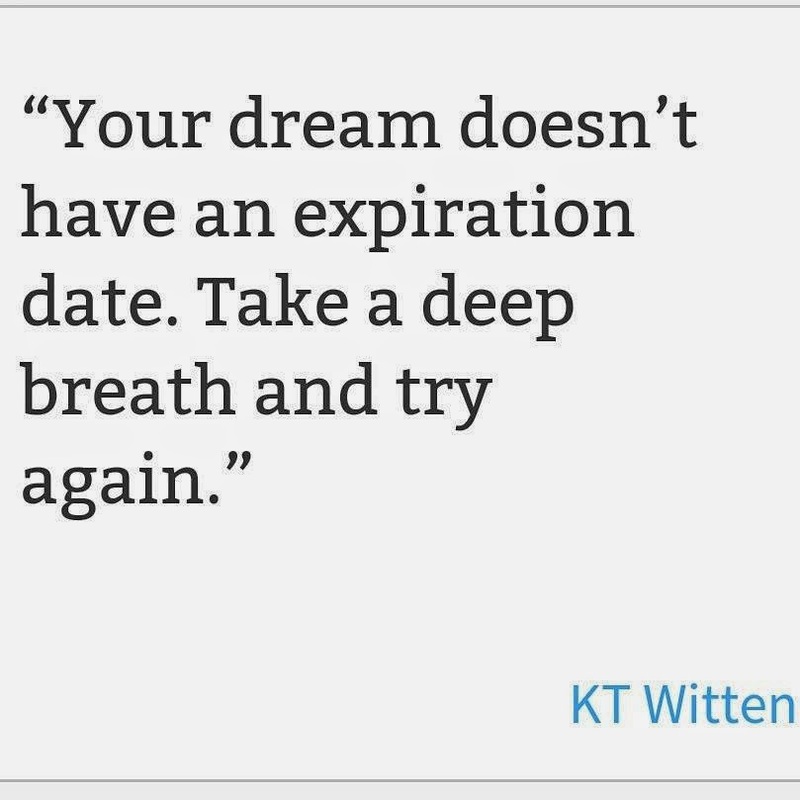 When the problem is...there is no expiration date and to be quite honest I used to create these goals that were just not realistic. I mean.. I HATE MY JOB or MY LEGS ARE TOO BIG are complaints... DO NOT WRITE complaints. ALSO, I WANT TO DO THIS yadda yadda is not a goal either. GOALS ARE things that you can accomplish. Things that within a week can actually get done. and yes. ONE WEEK. I make new goals every week. THIS WEEK I will push myself on cardio and really think about the muscle I am using. SEE how I can succeed in that? I create my own barometer for success. NOT I AM GOING TO LOSE 4lbs in one week. First of that is not healthy and unless I am having a baby it ain't gonna happen. BE REALISTIC. and write down at least 5 starting now. SO these are just a few of things I do. I might make a video on it if you guys wanna know more or have any questions.I am loving this life and just loving seeing results and making promises I can keep. BE NICE to yourself. Please! and remember to lean on your friends and family and tell them how you are feeling. THEY are there to lift you up and help you reach those goals and make those promises. Often times it is when we don't share with them that makes them not understand! ACHAAAAA I just wish I had figured all this ISH out a long time ago. If you are not subscribed to my Health, Fitness, & Beauty Channel you can check it out here! I have EAT CLEAN recipes, my daily vlogs, workouts, and much more to come! So have fun, stop trying to control all the balls haha and let me know how it is going!!! TAG ME in your goals and promises on Instagram I would love to see and see how I can help YOU reach them. Also, thank you to all who have shared the love for the 1stPhorm Athlete Search. I have learned so much during this process and I can't wait to just KEEP GOING! You can help by sharing this post and any others with @1stphorm #legionofboom #1stphorm #neversettle on your social media! Check them out for some great supplements. I am loving the protein Review to come and BLISS! Here is my Review for this product HERE! I just discovered your videos and blog about a month ago, and I'm pretty damn inspired. Being an ex-ballerina violist myself is just the cherry on top. There's something that must attract all violists to playing the viola: we're such a delightfully quirky bunch :).